First let’s talk for a minute about what productivity is. I define productivity simply as getting the result you want. If you get the result you want – then you are productive, if you don’t get the result you want – then you are not productive. …we get just a little bit of that willpower. But most of us are not aware that we get just a bit, so we end up wasting it on things that don’t do us good in the long-run and then we don’t have it when we need it. What’s The Best Way To Invest Your Willpower Each Day? The answer isn’t using it to make yourself do or not do a particular activity. That’s not the best way to use it. The answer is that you want to use your willpower, you want to invest it to create new habits. Once you build a new habit, then you don’t need to use your willpower to do that thing anymore. Because you do the new behavior naturally and automatically – it’s a habit and slowly you are learning how to not procrastinate. You don’t have to think about it, because it just happens and then you free your willpower up again to create another powerful habit. It’s intuitive to focus on behaviors and specific actions because it seems like this is the way we get ourselves to do the things we need to do. But it turns out to be very hard and very expensive, in terms of willpower, to keep trying to make yourself – “do the right thing” – and avoid the temptations around you. In Robert Fritz’s book – “The Path Of Least Resistance”, he tells a story about how they came up with the streets in Boston. If you’ve ever been in Boston, you know that the way the streets work is anything but intuitive. But how did they came up with the streets there? It turns out that they just paved over the cowpaths that were there when they showed up. So, the street system in Boston was essentially designed by cows and not by humans. Why? Because it was the path of least resistance on two levels actually. The cows were naturally taking the paths of least resistance as the were walking around up and down the hills and so-forth and the humans took the path of least resistance and they just paved-over the cowpath to make the streets. You’ll find in your own life that you usually take the path of least resistance and not the path of highest success. If these two paths are the same path – the path of least resistance and the path of highest success – then you have what is called productivity. Because you are doing the high value activities that pay-off and your life is set-up so that they are the natural thing that you automatically do. So, instead of paving on cowpaths in your life, you want to build a modern four-lane super highway of productivity. You want the path of least resistance to be the things that bring you the biggest returns and the biggest results. This is the path to accelerating success in life. This sounds easy enough but it turns out that there is a trick to this. There are a couple of pitfalls to avoid. One pitfall you want to avoid is starting a new habit and then giving-up because you get distracted from it or it becomes challenging. The trick to doing it right is to understand what is going to happen when you start creating your new habit. When you first start a new habit, it’s actually a little easier for the first couple of days because you’re enthused, you’re excited and have motivation. But then very quickly things get more challenging and you start to have resistance, you become frustrated – even defiant. These first few days are easier and then you experience rapid resistance on the way up for about 10 days more or less. The gravity of your old habits is trying to pull you back down. If you stick with it for this phase, the next 10 days or so – this is where you start feeling the pull of the gravity, you feel a general resistance and this is the key to learn how to not procrastinate. …and unless you are ready for this, when you are creating a new habit – it’s very challenging cause it is really easy to give-up. You need a huge amount of energy at the beginning during the lift-off. The first couple of days is easy cause you are excited and then it gets really hard for the next week and the next 10 days after this cause you need to fight the pull of gravity while the old habits are trying to pull you down. Then finally you get-over the hill and you reach escape velocity. This is the point where you learn how to not procrastinate. Then the real magic and the power of habit takes over and you don’t have to think about it anymore because you do it automatically. But you have to set things up so that you do this new habit everyday, so it takes root and it becomes a part of you. When you are trying to create a new habit, you want to put this new routine early on in the day, in order to take advantage the maximum amount of willpower for the long-run. 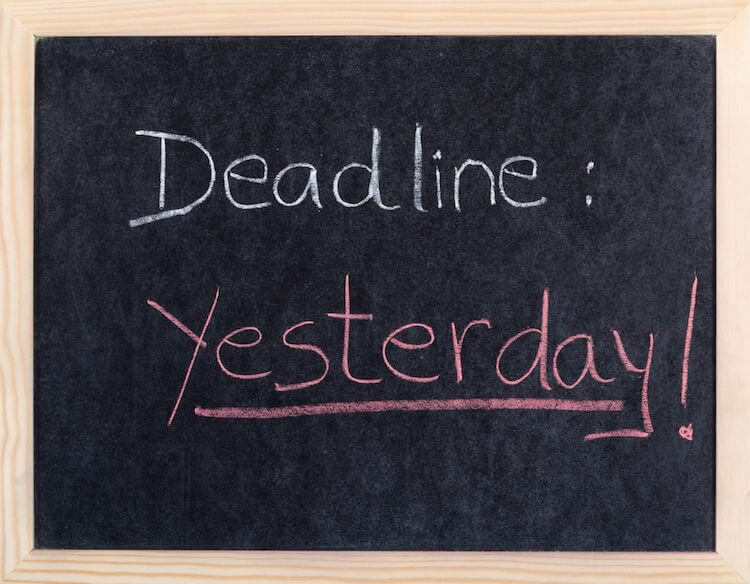 This is also the answer to the question – how to not procrastinate? 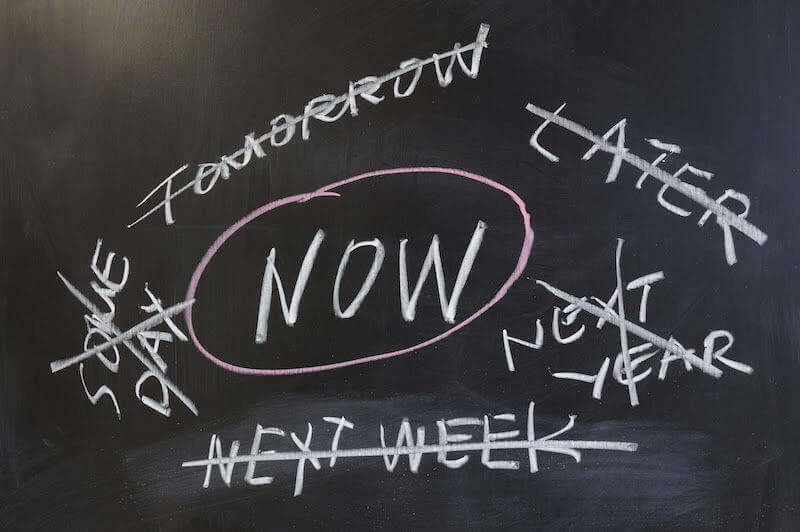 Because if you start now and don’t deviate when you are creating new habits, by the time you have installed 3-4 great, high-value, highly productive and success creating habits, you don’t have to worry so much about procrastination because you do the high value work automatically. 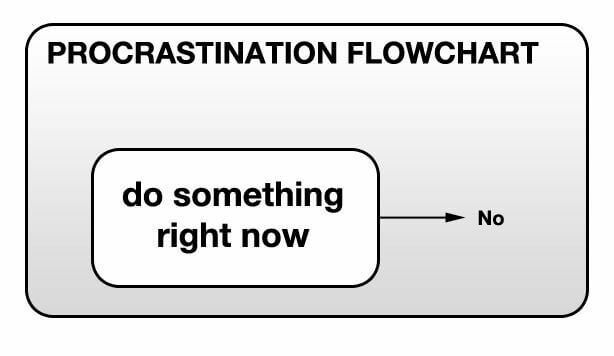 Excellent post on how to stop procrastination! I always believed that procrastination has been the culprit of more dreams and goals dying then anything else put together! Exactly Nestor and we all have been there one time or another, including myself. Thanks for sharing, truly awesome post. I was the ultimate master of procrastination 🙂 When I felt like tomorrow is getting full of todays tasks- no- worries- there’s alway a day after..
Got some really valuable tips from your post. I’m really excited this post helped you a little Marko. Powerful post Vasilis. Procrastination are all the excuses people muster up which is the bad habit they need to break. You shared some great tips and advice that is helpful to those that will actually read it and apply it! Love you blog! Right to the point Lynn! I couldn’t agree more with you on this. Glad you found it useful Angus. Exactly Jason. Glad you liked it.